Women in the economy are proving to be a force to reckon with as they make up 40 percent of the world’s workforce and secure $20 trillion in consumer spending. In an effort to continue supporting women and their financial accessibility, the Global Banking Alliance for Women recently announced it will gather $4.3 billion in capital for women-owned businesses throughout the world. With almost 8 million women-owned businesses in the U.S., more female entrepreneurs are making an impact and growing at a rapid pace. However, some women are struggling to obtain the funds needed to start and maintain a successful business. Irvine, CA— Women Impacting Public Policy (WIPP) has featured NAWRB’s upcoming developments regarding the NAWRB Inaugural Conference and the latest issue of NAWRB Magazine, the leading publication for women in the housing economy. WIPP is a nonpartisan organization that assists women-owned businesses by educating and advocating for them. The organization represents 4.7 million business women and uses a collective voice to make a powerful statement on Capitol Hill and the Administration. 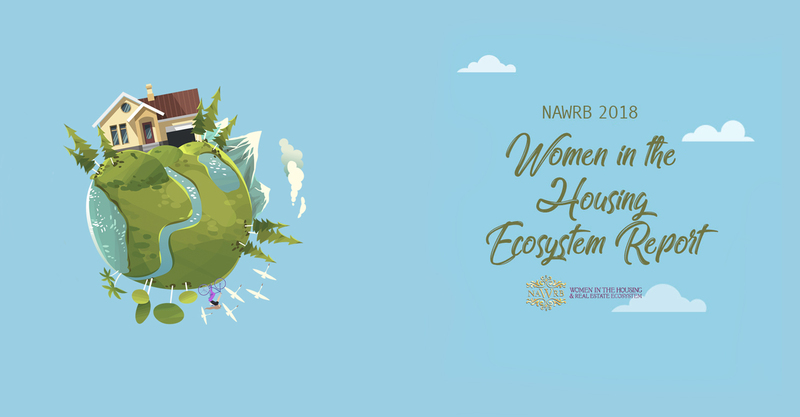 WIPP shared NAWRB’s announcement which showcased two profound speakers set to participate at the NAWRB Inaugural Conference. Mentioned speakers included Barbara Kasoff and Tami Bonnell. Kasoff is the President and Co-Founder of WIPP and previously owned Voice-Tel of Michigan, Voice Response Corporation and in a global expansion, opened Voice-Tel of Australia and New Zealand. Bonnell is the CEO of EXIT Realty Corp. International and has 30 years of experience in real estate. The exciting Inaugural Conference will take place at the Hyatt Regency in Long Beach, Calif. on Oct. 27-29. The conference will provide awareness, opportunities and access to help women grow and expand their businesses. Moreover, it will feature speakers and mentors who specialize in finance and the housing economy such as the FDIC Senior Deputy Director Melodee Brooks, U.S. SBA Mentors and countless CEOS. The conference will also include fun and lively aspects such as a Roaring Twenties-themed Gala, raffles, silent auction, live band and more. The newest issue of NAWRB Magazine was also highlighted by WIPP for its riveting interview with Emmy Award-winning producer and Founder of the inspiring Adelante Movement, Nely Galan. In the interview, Galan discusses her involvement with the inspiring Adelante Movement and her journey to success. 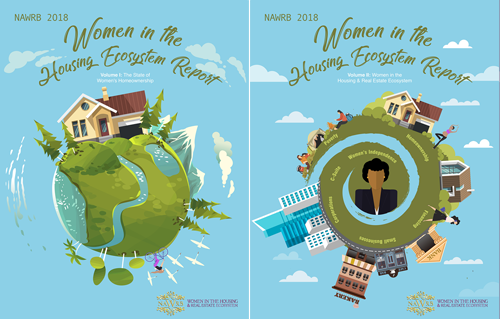 NAWRB Magazine is an international monthly publication full of insightful information geared toward women specializing in the housing economy. 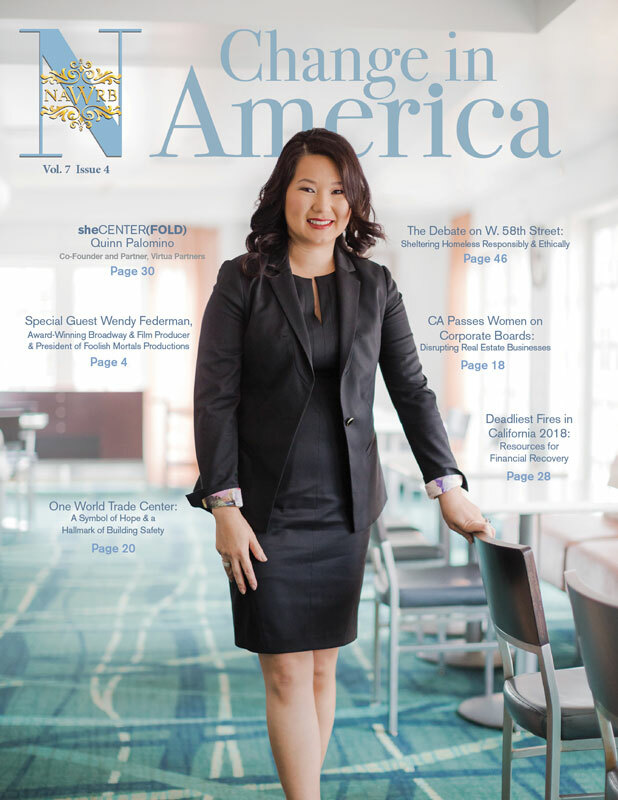 From prominent female figures spotlighted in the sheCENTER(FOLD) and feature articles written by leaders and experts, to apps to help get people organized, NAWRB Magazine encompasses what’s trending now in the housing industry, business and culture. The housing industry is feeling the negative effects from an increasing amount of families living in rental properties. The Commerce Department spoke today about recent findings in the industry. Overall, housing dropped in August after reaching its highest point in seven years, causing multifamily projects to head U.S. real estate. Many entrepreneurs are using the internet as a tool to achieve more financial support for their business or product idea, but more women are benefiting from it. A recently released paper titled, “Gender Dynamics in Crowdfunding: (Kickstarter)” by Dan Marom, Alicia Robb, and Orly Sade, found that women have an eight percentage-point advantage over men in effectively obtaining funds through the popular website. The “Women’s Small Business Ownership Act of 2014” (S. 2693) would improve access to lending and increase business counseling and training services for women entrepreneurs, and give women-owned businesses the same level of access to federal contracts as other disadvantaged groups. The legislation adopts recommendations from a recent Senate Small Business Committee report that showed significant barriers for women looking to start or grow their own business. The report highlighted how women-owned businesses represent a $3 trillion economic force and support 23 million jobs, but still face significant barriers compared to their male-owned counterparts. Women entrepreneurs account for just $1 out of every $23 in small business lending, despite representing 30 percent of all small companies. They are also more likely to be turned down for loans or face less favorable terms than men, according to the July 23 report, 21st Century Barriers to Women’s Entrepreneurship. Expand and improve the U.S. Small Business Administration (SBA) Microloan and Intermediary Lending programs to reach more women borrowers who need up to $50,000, as well as reauthorize the SBA Intermediary Lending program – now a pilot program – to provide more women access to loans between $50,000 and $200,000. The legislation would allow Microloan lenders to increase lending capacity from $5 million to $7 million and improve the program to better meet borrowers’ needs through more flexible terms and expanded technical assistance. Women often face difficulty in getting right-sized loans that fit their needs, according to the report, and this will help fill a gap not met by traditional private lending. The Microloan program targets new and early-stage small businesses as well as borrowers with limited credit history who can’t receive financing from a traditional lending institution. Allow sole-source contracting for federal contracts awarded through the Women-Owned Small Business Federal Contract program, which would put women-owned businesses on equal footing with other disadvantaged groups in the contracting process. The legislation would change current law, and aims to help the federal government meet its goal of awarding 5 percent of contracts to women-owned businesses – a goal that has never been reached since it was established by legislation 20 years ago. When this goal is not reached, women-owned companies miss out on $4 billion in federal contracting opportunities each year. Increase funding for the Women’s Business Center program to expand and improve counseling and training services to reach more women entrepreneurs, especially in low-income areas. The program, overseen by SBA’s Office of Women’s Business Ownership, issues grants to nonprofits that provide these services. The centers assist 150,000 clients annually, and helped women to access more than $25 million in capital in fiscal year 2013. The centers help address the unique challenges women entrepreneurs face, such as less capital to invest and responsibility for child care or elder care. The legislation would reauthorize the program through 2019 and nearly double the annual funding authorization. It also would establish clear metrics to measure each center’s success. Require data on women-owned small businesses by establishing a 2015 deadline for an SBA study to identify industries in which women-owned small businesses are under-represented. The original deadline was 2018. 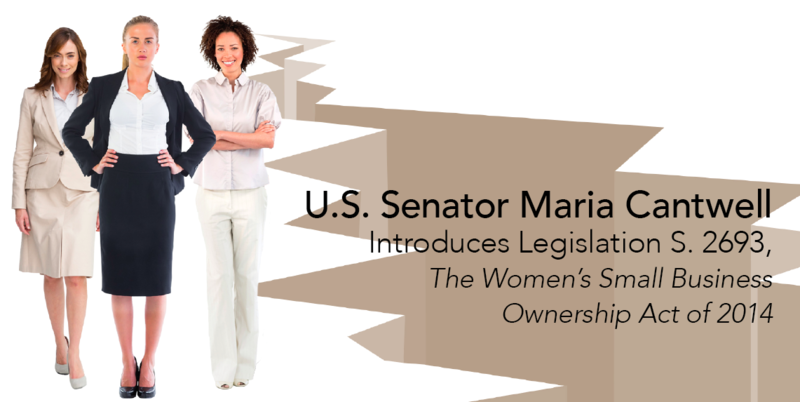 The Women’s Small Business Ownership Act has received strong support from key stakeholders including Women Impacting Public Policy, the Association for Enterprise Opportunity, the Association of Women’s Business Centers, U.S. Black Chambers, Inc., the U.S. Hispanic Chamber of Commerce, the National Venture Capital Association, and 32 community development organizations from 20 states. Access to capital continues to be a major issue for all, but especially for women entrepreneurs. The NWBC research suggests there is a direct correlation between access to capital, and company growth in terms of employment for both men- and women- owned businesses: women-owned firms exceeded their growth expectations, while men-owned firms had much greater growth in revenue. Men-owned firms used significantly more capital than women, particularly with respect to equity from external sources such as venture capitalists and angel investors. Only 20% of all angel-backed companies were women-led in 2013. The NWBC’s research concludes high growth women-owned firms may be an underutilized tool for economic growth; increased access to capital is important because more money for the business will undoubtedly maximize their potential to contribute to the economy. When it comes to broadening the pathway to success for women business owners, women who are sole owners should consider finding a business partner who has previous startup experience. The NWBC’s research findings suggest firms with team ownership and/or owners with previous startup experience typically have higher amounts of capital and were more likely to have high growth potential. This research also revealed women-owned firms were also less likely to apply for credit when needed because they feared being turned down. Anecdotally, many successful business owners were rejected repeatedly by banks before ultimately obtaining a loan. It is important for women to ask, and to keep asking. From the standpoint of risk aversion, a number of studies have similarly identified the fear of failure as a major impediment to the launch and growth of women-owned firms. For example, at NWBC’S March 2014 public meeting, Divya Nag—one of STEM’s youngest woman entrepreneurs—discussed Stanford’s StartX accelerator. She noted that only 5% of founding teams with women reapply when rejected as compared to 65% for all-male founding teams. The NWBC concludes that it is essential that entrepreneurs believe in their product, be able to communicate how it fulfills an unmet need in the market and continue to tell that story despite rejection. Research and other supporting research show, men and women approach debt differently, including the application process. Since women had lower growth expectations than men, it is possible they pursue less capital at the outset. Also women are more likely to have characteristics that are associated with lower amounts of capital in general—these include less previous industry experience, less previous startup experience, and lower credit scores, being a sole owner, and being home-based. However, these trends occur even among women-owned firms with high growth potential. One of the biggest differences seen was with regards to the amount of outside equity used. The presence of women is notoriously low on the investment side, e.g. as angel investors. Increasing women’s presence on the investment side (e.g. as angel investors) might help ameliorate some supply-side issues. There is substantial opportunity for financial institutions to ramp-up their efforts to target and increase lending to women entrepreneurs. The NWBC concludes that one particularly effective strategy to maximize the potential of high growth oriented women entrepreneurs would be incentivizing accelerators and incubators to address the specific needs of and support women entrepreneurs. In addition to financial resources, this would allow women to get the tangible startup experience they need, the help with the business growth planning process and offer the added benefit of social networking—possibly resulting in team ownership. Ultimately, it looks like there is both a demand-side and supply-side issue. It’s important for women business owners with high growth potential to set themselves up for success financially—but also for institutions and individuals offering financing to work with growth-oriented women to maximize their potential. The NWBC would like to see more women entering the investment side, as angel investors or as part of a screening committee at a venture capital fund. There is no doubt that great strides have been made in the women’s entrepreneurship movement, but there is clearly more work to do. Change or action doesn’t happen without impetus. If we continue to build on the progress that has already been made women, women-business owners and the economy as a whole will benefit tremendously. “New Research Shows Funding Challenges Persist for Women-Owned Businesses” was originally published on ProjecteEve.com. The National Women’s Business Council continues to be a leading voice in advancing the women’s entrepreneurship agenda with a strong focus on providing key insights and solutions to increasing economic gains for women business owners. The NWBC has identified four priorities: Access to Capital, Access to Markets, Job Creation & Growth, and Data Collection. The NWBC will be highlighting the challenges and opportunities for women entrepreneurs through several research efforts, including: undercapitalization as a contributing factor to business failure; Supplier Diversity Initiatives and Supply Chain Analysis; and Women’s participation in accelerators and incubators.